Run a computer without a hard disk? is it possible now? Running a computer without a hard disk? is it possible? As we all know, a hard disk is a necessary part of any computer, but now this idea about computers is going to change as another Indian boy smashed all these rules and built a computer which can run like any other computer and it replaces a hard disk with a microchip. 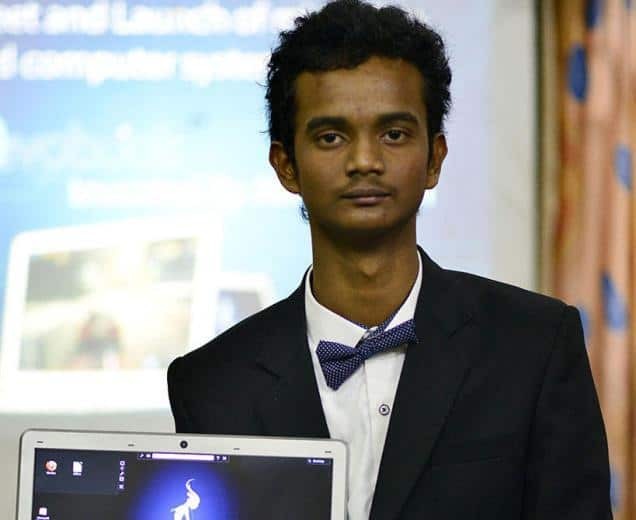 While all his classmates were busy preparing for their 10th board exams, Guwahati school boy Afreed Islam was busy prepare ng the prototype of this computer which runs on a microchip. He launched the prototype of this computer called as Revo Book earlier this week and it comes with dual operating systems that allows using both Windows and Linux simultaneously. He is a student of Little Flower School, Hatigaon, Guwahati and will be appearing his 10th final exam next month. He has replaced both electronic and mechanical hard disks with a microchip. The microchip is used as a storage unit and avoids the risk of data or system crash. He has also developed the Revo IX OS which comes installed in the microchip and has a fast execution speed, built in firewall and works as a complete, inbuilt OS and he has already applied for a patent for his works. Islam has collaborated with a German company to manufacture the computer system and according to sources, he had got this idea when he was in class 8. So, maybe we will be travelling with tablet sized computers with a fast, reliable OS and the absence of a hard drive will reduce the power consumption to a large extent. Next articleCan ReactOS make a viable replacement for Microsoft Windows?